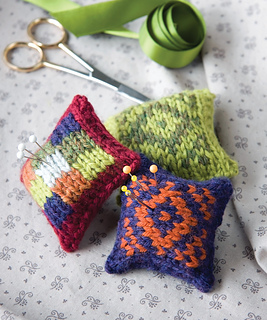 These adorable pincushions are a great way to practice your colorwork—and use up leftover bits of yarn. 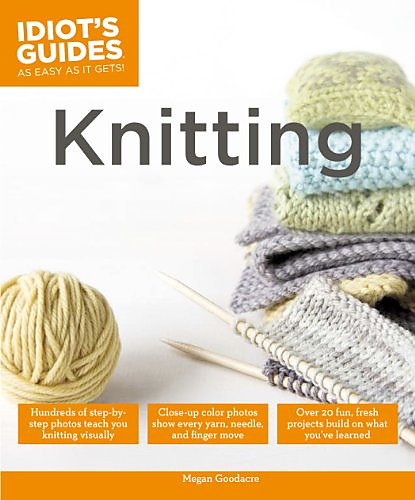 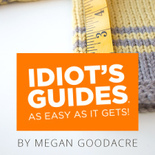 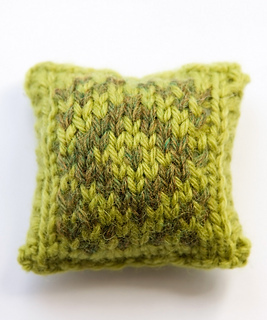 All your yarn ends are hidden on the inside, and your stitch tension isn’t crucial. 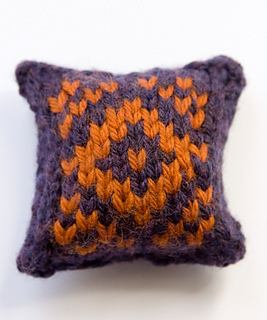 I’ve included two versions here: the Checker Pincushion, which is done in intarsia, and the Diamond Pin- cushion, which uses stranded knitting. 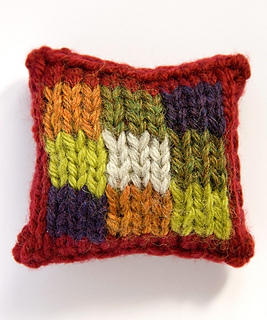 Worsted weight yarn in the following amounts: about 20 yards (18m) Main Color, plus about 4 yards (3.5m) each in Colors A, B, C, D, E (for the Checker Pincushion) or 10 yards (9m) Color B (for the Dia- mond Pincushion).